International Yoga Day 2017: Hatha, Yin or Power - which yoga practice is best for you? It is International Yoga Day on 21 June, and yoga enthusiasts from all over the world will be celebrating the practice, which helps both body and mind. Yoga brings to mind images of a person meditating peacefully, or contorted into a seemingly impossible pose. But yoga is so much more. There's so much to discover when it comes to this 5,000-year-old practice than you might imagine. There are different types of yoga, and you can take your pick depending upon what you are looking for. The word 'hatha' can be translated as sun (from the word 'ha') and moon (from the word 'tha'), which means the yoga of balance. Hatha yoga generally concentrates on physical postures or asanas. When a yoga class is marketed as Hatha yoga class, it means that you will get a gentle introduction to the most basic yoga postures. You probably won't work up a sweat in a hatha yoga class, but you should end up leaving class feeling longer, looser, and more relaxed. This style of yoga was developed by BKS Iyengar, and is a very meticulous style of yoga, with the focus being on finding the proper alignment in a pose. In order to help each student find the proper alignment, an Iyengar Yoga class will stock a wide array of yoga props — blocks, blankets, straps, chairs, bolsters are all common. But this isn't a class where you will get your heart rate pumping; instead you will be amazed to discover how much mental and physical stamina you need for staying put in one asana. Ashtanga is based on ancient yoga teachings and rigorous style of yoga that follows a specific sequence of postures and is similar to Vinyasa Yoga, as each style links every movement to a breath. The difference is that Ashtanga always performs the exact same poses in the exact same order. This yoga class will be more demanding than Iyengar or Hatha yoga. 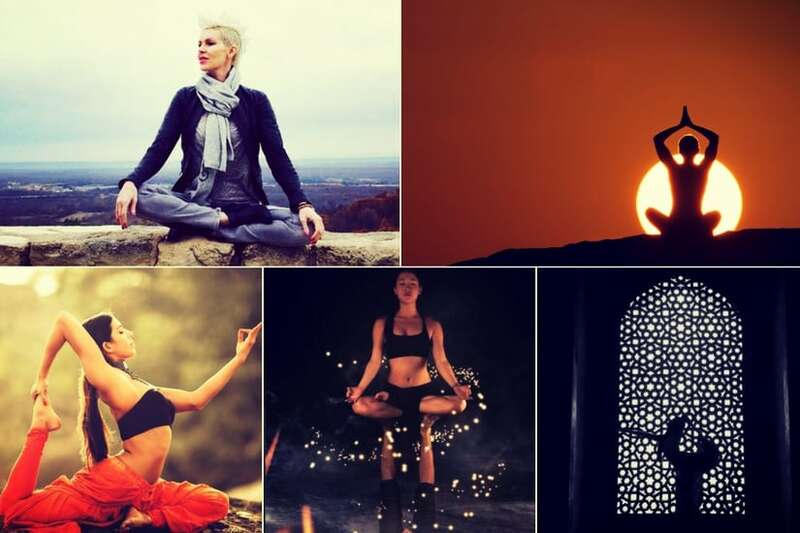 Kundalini Yoga has a combined focus on physical workouts and meditation, thus making it a kind of blend between varied forms like Bikram Yoga and Jivamukti Yoga. It also has an added focus on consciousness for the activation of energy centers in the body. The participation of the guru and student in each kriya resembles the aura of a temple rather than a gym. It is known as the "yoga of awareness" because it focuses on achieving one's potential. It also does not assert on strict dogmas. Take up this form of yoga if you want varied workouts each day and breakthroughs in mental patters. The word 'vinyasa' can be translated as 'arranging something in a special way', like yoga poses for example. In Vinyasa Yoga classes, students coordinate movement with breath to flow from one pose to the next. Vinayasa Yoga links movement and breath together in a dance-like way. In most Vinyasa Yoga asanas, there is no slow paced pose. Instead, teachers often pump music which plays to the beat of the sequences of the poses. For people looking for a slow-paced, laidback yoga style, this is not for you. Instead, endurance athletes and runners love Vinyasa because it serves as an alternative way to exercise, and burns calories to help you lose weight. Since you change poses with each breath, you can burn upward of 400 calories. To simplify the term, power yoga is a faster paced form of yoga, where you sweat your calories as you would in a regular gym workout. But the way every teacher interprets the practice is totally different. Some power rooms are heated (like in hot yoga, so that you burn more calories), while others keep it cool. But one thing is sure, you will burn alot of calories. Power yoga is great for strength training since you change your asanas constantly. This means you are lifting and holding your entire body's weight constantly and this will definitely help you pump adrenaline. This form of yoga takes its cues from the the practice made famous by Ashtanga master Sri K Pattabhi Jois since two of the most notable names associated with power yoga — Beryl Bender Birch and Bryan Kest — have personally studied under Pattabhi Jois. This form is perfect for those who do not want their yoga routine to be fast-paced or sweaty, and want a gentle warm-up or stretching session. Yin Yoga is far more slow-paced than Ashtang or Bikram Yoga, thus making it suitable for beginners. But it would be wrong to assume that it is not challenging, because it can take you out of your comfort zone in the process of healing tight body parts like hamstrings or hips. 1International Yoga Day 2017: Hatha, Yin or Power - which yoga practice is best for you?